.:Soul:. Gets Fluffy and Fierce! | .:Soul:. .:Soul:. Gets Fluffy and Fierce! 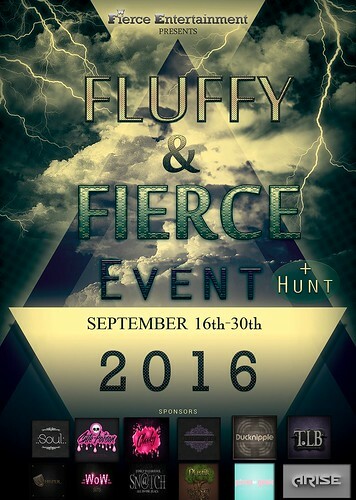 Fluffy & Fierce opens today! As per usual, .:Soul:. is giving you options upon options and 25% off all items at the event! 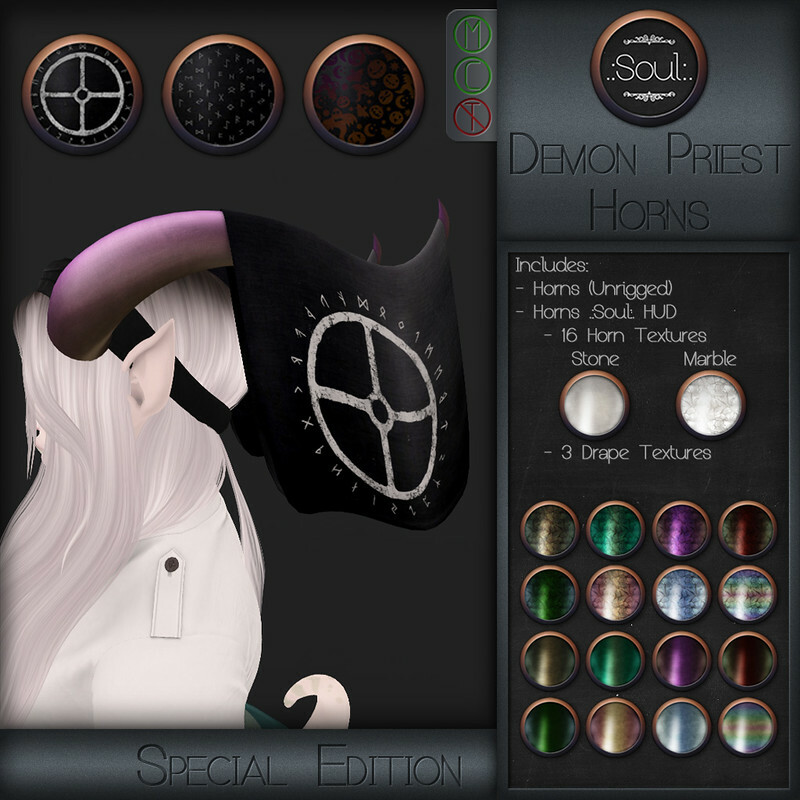 Sold by the Drape Pattern, you get all 80 Horn textures with each one and 40 Drape textures! Simple and fitting for nearly every look, and you get all 80 horn textures too! The event also has a HUNT! Which means FREE THINGS for those that look for them! .:Soul:. has hidden an exclusive set of the Demon Priest Horns for you to find! The HUD will work with the other Demon Priest Horns, and will only be available free to everyone that can find it during the event! ◊ There will be a Hunt Hint giver at each store’s stall that is participating. Click to get a NC of that store’s Hint and LM. Use the Hint to find the hunt item at that Landmark. 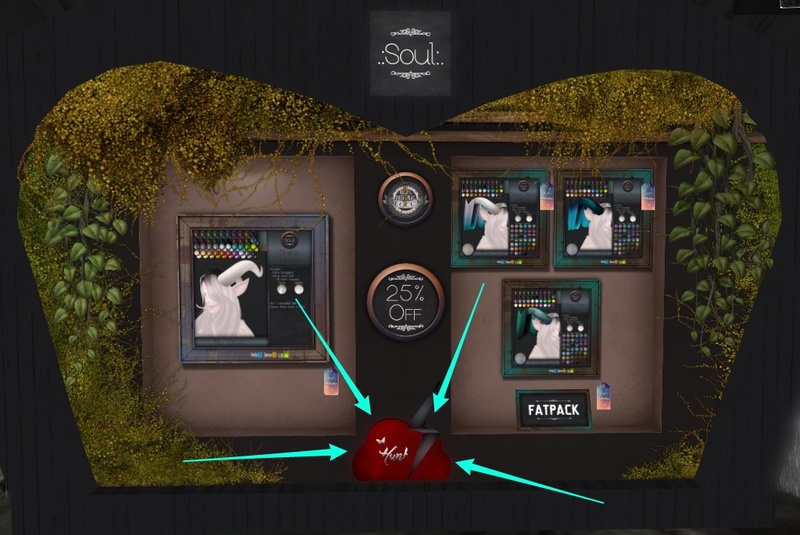 This entry was posted in Body parts, Events, Freebies/Gifts, LOTD, New Releases, Unisex. Bookmark the permalink. ← .:Soul:. Emma & Emmanuel Fantasy! Awesome! Wasn’t expecting something like this to come out, but I’m quite thrilled that they have!